My wife is a science fiction buff! She loves to read good science fiction like “I Robot”, a collection of short stories by Isaac Asimov. One of the consistent themes in this and other science fiction stories are that machines are becoming more like humans, and at some point in the future we will no longer need humans, just machines. This got me thinking… is the reverse true? Should humans act more like machines, and if so, what kind of actions? What kind of machines? Is acting machine-like always a negative thing, or can it also be positive? Can and should parents learn from machines? 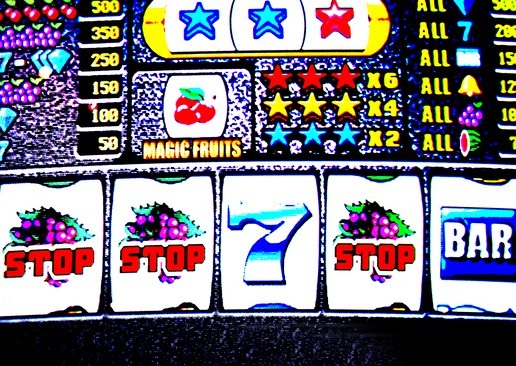 Let’s consider two commonplace machines: a vending machine and a slot machine. What can they teach us about parenting? Two machines parents are familiar with are vending machines and slot machines. Each has a different job and function. Take for instance the case of a vending machine; every time I put a dollar in and I punch the button, I expect to receive a Coke. And if for some reason I don’t get the Coke, I don’t put another dollar into the machine. I simply quit. But that’s not the way a slot machine works now is it? I put dollar after dollar into the machine even if I get nothing from the machine. I continue feeding dollars into the machine. If you want something to stop, be consistent every time!!!!! Think about it. Which machine do you keep putting money into even though you don’t get anything? Are you acting like the vending machine or the slot machine when your son begs for something at the store? If it is the slot machine, this annoying behavior will continue for a long long long time. If a negative consequence (e.g., leaving the store immediately without any purchases and going home) only occurs every third, fourth or fifth time, the begging will hang on and on. On the other hand, if your behavior is like the vending machine, the begging will stop much more quickly. If each time he begs, the same negative consequence occurs (leave the store immediately and take him home without any purchase), the begging will stop. Just remember when to be a vending machine and when to be a slot machine.